I have been told that most Moroccan homes do not have facilities to take a bath or a shower hence the delightfully ubiquitous Hamam- or bath house. These places are segregated for men and women and are places for people to take a refreshing bath and massage.What a wonderful experience! I had some experience when I was in Istanbul so I had somewhat of an idea on what to do, but the massage was the highlight! I was first scrubbed down by a Moroccan man, who spoke only Moroccan Arabic, so even my rusty Middle East Arabic was an intercultural challenge. He started using a rough mitt, then soaped up and rinsed my body off and this happened twice. This man then grabbed a hold of me, and using his feet, legs, strong arms and body, which he twisted and turned, as well as vigorously massage my body- making me feel at first like a pretzel, but later invigorated and a "new person". I went to another more stylish and fancy hamam in Casablanca (It was located on some small narrow alley) which really resembled the Turkish style in Istanbul. Entering the place made me think I was set back into another era in the Ottoman Oriental days of Ali Baba. It was decorated with mosaic walls,a marble counter which I had to lie on top of, this time with a towel covering my waist, while a man dressed in a kind of "Ali Baba" uniform with sleeveless shirt, also speaking only Moroccan Arabic, gave me a total scrub down (he even showed me the disgusting dead cells. dirt and muck being rolled off my skin!). He surreptitiously slipped his hand under my towel to briefly scrub and wash my hidden parts of my body, and then he soaped me up and washed me down with water. I went into the steam room which resembled an old Ottoman style "Hamami" with marble basins filled with warm water in which you scoop out water and pour over yourself and enjoy the steam (just like the Italian/ Turkish movie "STEAM") The humidity in the room was thick and at times difficult to breathe. After I finished I was sent into a room which felt like it transported me back centuries ago, to rest on some lounge chairs to recover from all the energy, steam and attention my body had during that hour! It was really worth the experience! 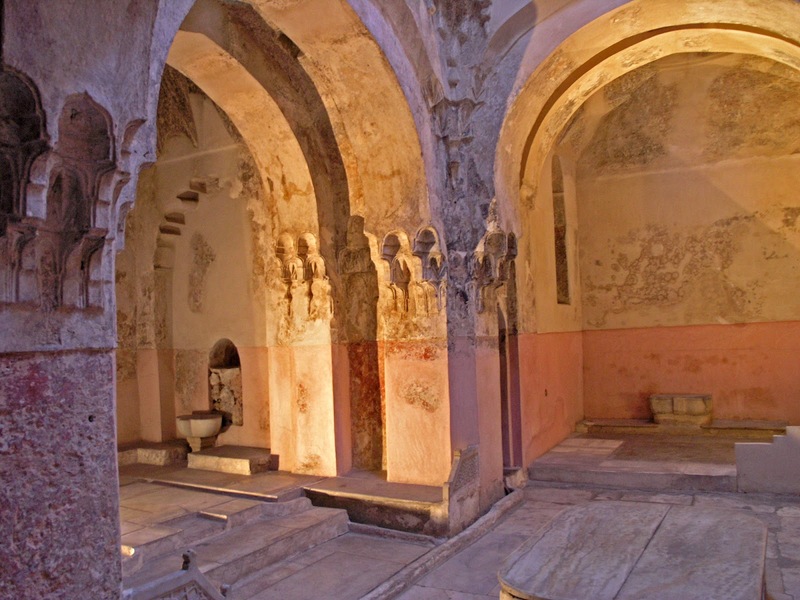 I want to go to different HAMAM as I go to different places in the Arab world, or Middle East. I wish I could do this more often! Anyone else want to join me?